The creation of multi-academy trusts (MATs) means staff and contractors now work across multiple sites to provide better allocation of resources for individual schools. Our MAT module enables communication between separate InVentry systems to share data, information and resources in real time. Rapid and accurate sign in for staff and contactors across multiple locations with cross site reporting. Centralise audit valuations and compliance checks between sites through one app. Simple to use registration tools for contractors and support staff during extra-curricular activities. Staff can sign in between individual schools with automatic sign out from other individual systems when signing in on a new system. Individual InVentry systems can have different MIS integrations and can still flow identity information between school systems. 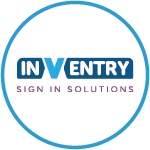 Pre-book large groups of visitors and send them customisable invitation emails directly through InVentry. Create advanced reports and display the results on the admin dashboard as live widgets e.g. staff signed in / signed out. Contractors who do no exist on one specific school system can be added centrally and then fed down to all other individual systems. All individual InVentry systems can be customised using different integrations, modules and settings all whilst still providing trust wide access and reporting. Digital registration to allow sports club leaders to register everyone right from the court or field on any device. Take the hassle out of conducting the audit of your assets by using our professional onsite audit service. Visit our commercial site below!